Yes, that’s exactly what you’ll be saying about each and every one of these 11 Gluten-Free Recipes That Make You Want to Eat Gluten Free. 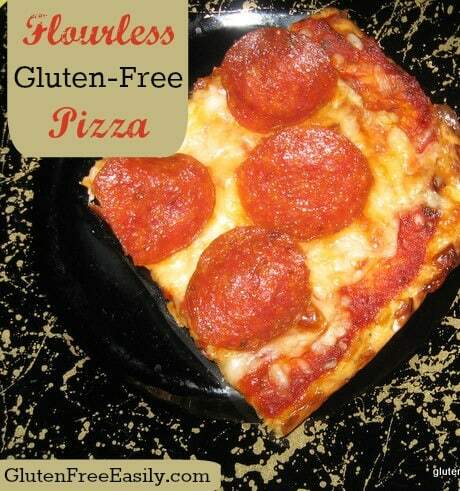 These gluten free easily (gfe) recipes are the most popular recipes on gfe for a reason. 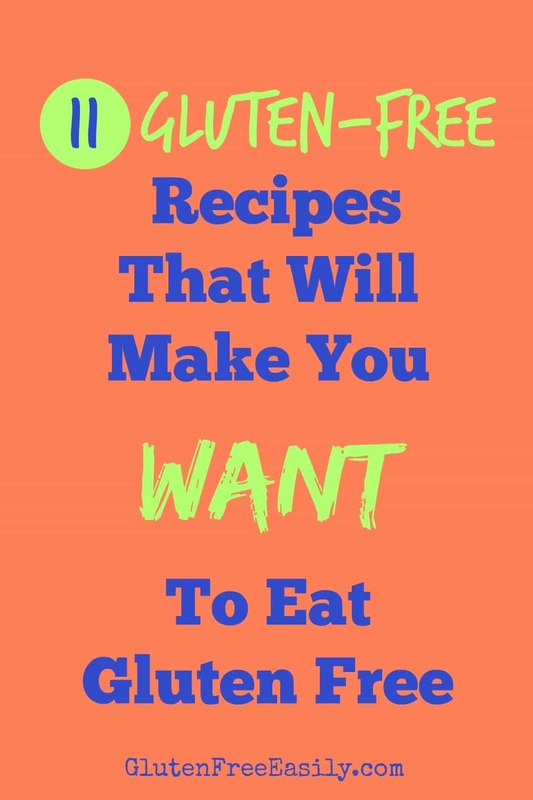 Not only will these recipes make you want to eat gluten free, but they will make your friends and family members want to eat gluten free as well! 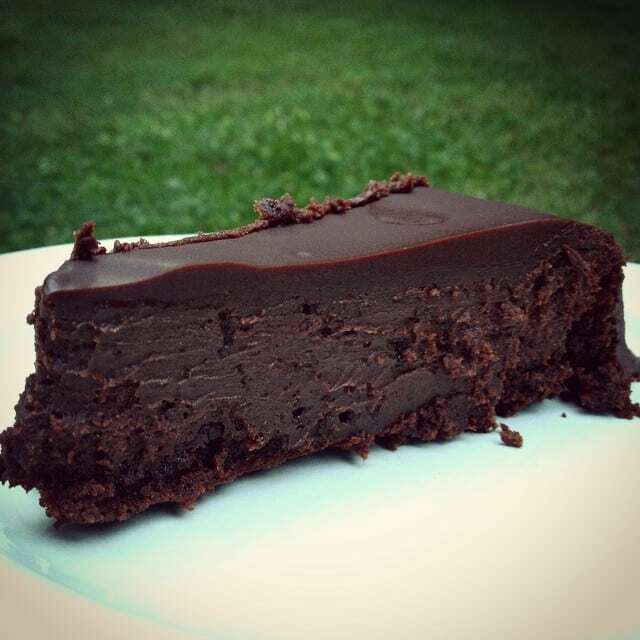 Click the recipe titles or the photos to get the recipes here on gfe. 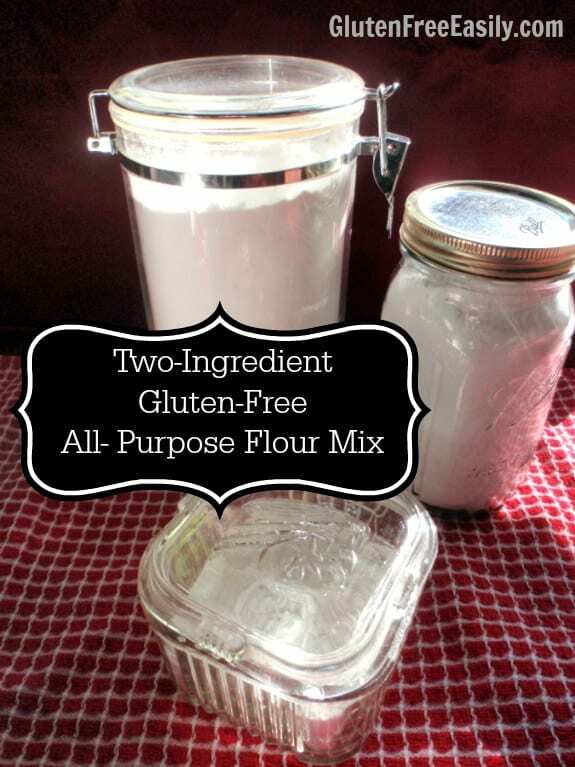 Okay, this last one might seem like a bit of a cheat, but this Two-Ingredient Gluten-Free Flour mix has been my personal secret for success in most of my gluten-free baking. 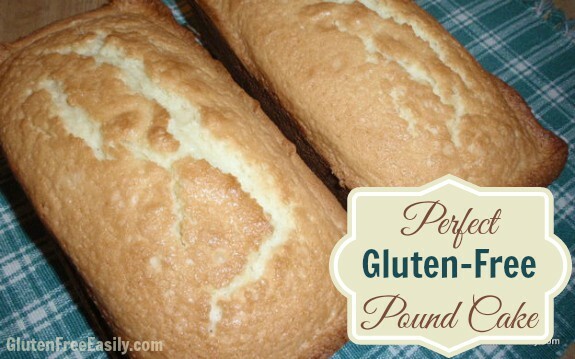 This mix is so easy to make, is inexpensive, and results in excellent baked goods. 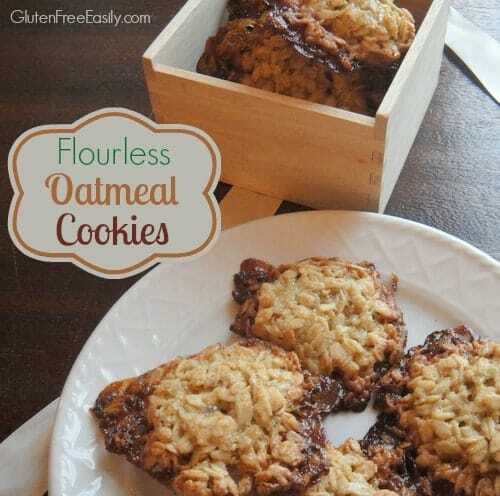 « Over 60 Gluten-Free Oatmeal Cookie Recipes! Hi Phyllis–Welcome to gfe! Thank you. 🙂 I hope you really enjoy these recipes! 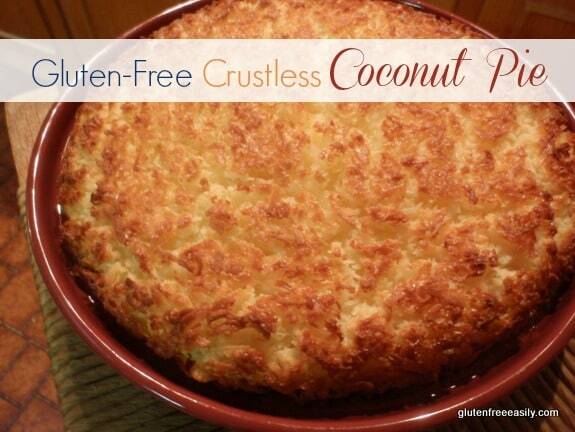 I can’t get that crustless coconut pie out of my mind….I have been on a coconut kick lately. 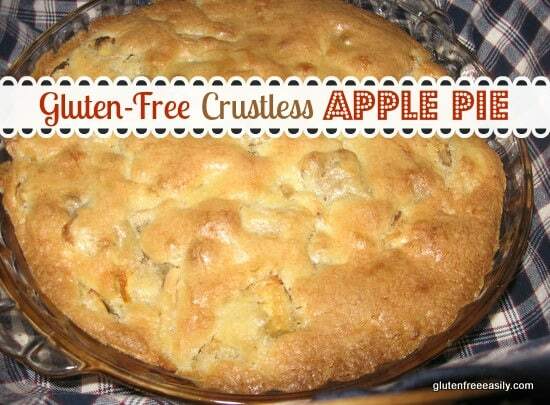 All of the recipes are truly wonderful, and easy enough for beginners to gluten free to be able to make and enjoy. 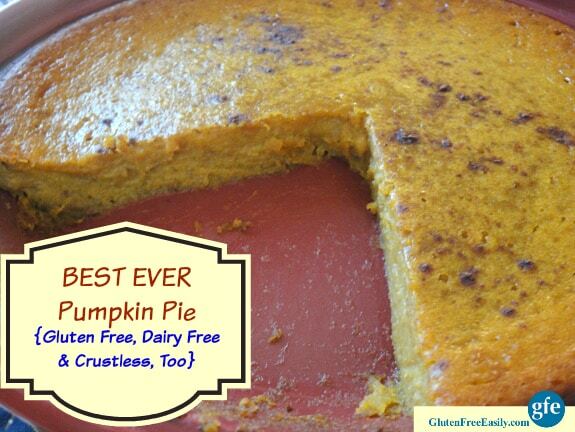 Gluten free recipes that turn out just as good or better than the gluten filled versions are the best! These look great. Thanks so much, Bethany! 🙂 That’s the way all gluten-free recipes should be when compared to gluten-full versions, right? What an awesome post Shirley! I love that you have all of the testimonials, too – proof of awesomeness! 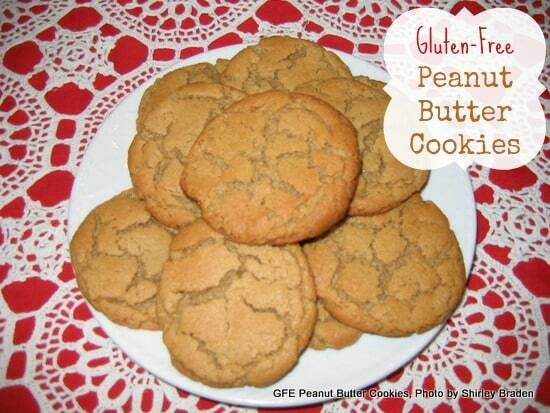 very nice collection of recipe thanks for sharing with Hearth and soul blog hop. It’s true, your recipes are very homey, very tasty, and so easy to make – and so easy to shop for. Nothing weird here, only good solid ingredients. 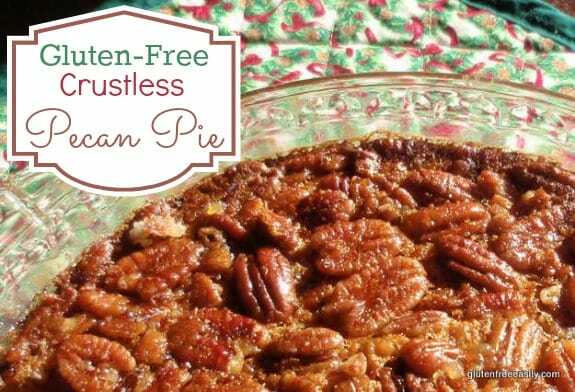 I cannot tell you how often I have made your recipes and gotten such praise – and nobody would have known it’s gluten free until I told them……That is always my greatest pleasure, to share your recipes (always giving credit of course) and seeing the look of disbelief on people’s faces when they learn it’s all gluten free……. Thank you, dear! I thought of you (and others) and the emails we exchanged about how to get started living gf with the easiest and best recipes—recipes that everyone would love—when I created this post. 🙂 I so love that these recipes continue to work for you and that you quickly gained the confidence to tweak the recipes to your own liking. Your creativity along those lines has always delighted me! And really everyone should have that. There’s this perception that gf recipes cannot be changed because they’re gf and while I’ll be the first to admit it can be frustrating to have a reader make a bunch of changes to a recipe and then tell me that it didn’t work, I always encourage folks to work with recipes to fit their needs. It’s a joyful thing to have that success and regain one’s confidence in the newly gf kitchen! One has to make semi-logical changes though and shouldn’t shoot the creator of the original recipe if one’s changes don’t work. Hehe! I noticed your comment about now using cassava and tiger nut flours…do you have a good gf combo using those? Didn’t see a link. Hi again, Sara–I’m not sure which comment you’re referencing. Admittedly, I don’t have a lot of experience using either cassava flour or tiger nut flour. In fairly quick order, I’ve learned that I don’t tolerate cassava flour. 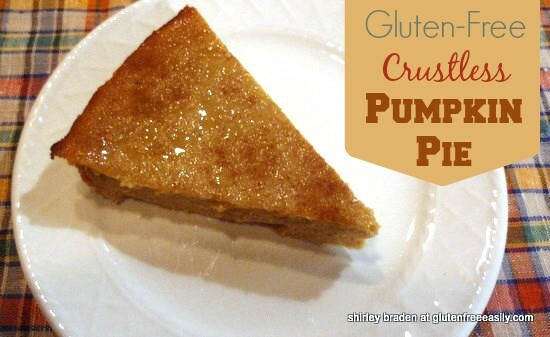 For cassava flour recipes and guidance, I’d recommend checking out my friend Jennifer Robin’s Predominantly Paleo blog. Most of her recipes use cassava flour and you can see what she mixes with it for her baked goods. Tiger nut flour, in my experience—and per the guidance of the folks behind this brand–can be used in place of “regular” flour without adding anything else, like xanthan gum. I have not used it a lot yet but I’ve really liked the results when I did use it in baked goods. Good luck with your gluten-free, grain-free baking!